Added on October 14, 2018 by michael rees. The Aldrich Contemporary Art Museum is pleased to present On Edge, an exhibition that brings together seven contemporary artists whose work addresses the complex and dynamic terrain of the table’s edge. Revealing the edge as a site where boundaries are both reinforced and tested, and where safety and danger coexist, On Edge will include works by Anthony Caro (1924‒2013), and newly commissioned works by Paul Bowen, Melvin Edwards, Michael Rees, Arlene Shechet, Venske & Spänle, and Leslie Wayne. Organized by The Aldrich’s exhibitions director, Richard Klein, the exhibition will be on view from May 20, 2018, to January 13, 2019. Traditionally, the edge has been avoided as it both suggests jeopardy and violates the comfortable and familiar framing of the art object by its display surface; yet artists have been drawn to the precipice by its theatricality as well as by subjective and formal concerns. The exhibition’s design subverts institutional expectations about presentation by utilizing the domestic table as a primary display surface, employing iconic tables by Modernist designers such as Charles and Ray Eames and George Nelson generously provided by Design Within Reach. This installation emphasizes the uncertainty that small objects undergo when leaving the controlled, formal, museum or gallery environment of plinths and sculpture bases and enter the home. Traditionally, the domestic environment is one of order and safety, with the table being akin to a country or province: a landscape of unity and purpose that is bordered by the flow of the surrounding world. For an object to approach, or violate, the table’s edge is to question security, and, by extension, the sovereignty of what has been demarked as limited and known. In our current moment where borders are being reinforced and nationalism is rising globally, the edge takes on a new urgency, charged with metaphors that go beyond the simply dramatic. 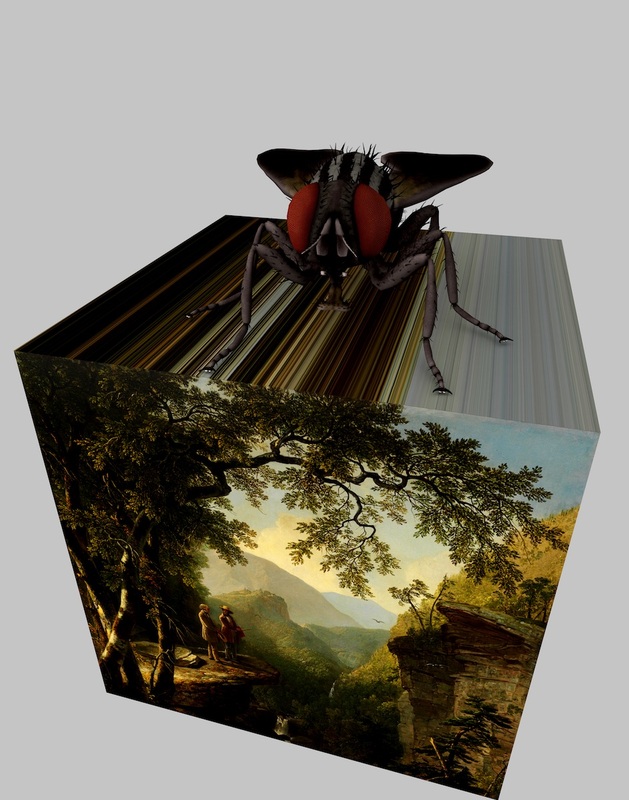 If one believes significant art objects are imbued with some form of intentionality by their makers, all of the works included in On Edge share in being extremely self-conscious of both their scale and placement, questioning assumptions about the usually neutral relationship between small objects and their location in space. On Edge is one chapter in a series of concurrent exhibitions at The Aldrich brought together under the title The Domestic Plane: New Perspectives on Tabletop Art Objects, all of which explore the nature of small objects and our relationship to them. 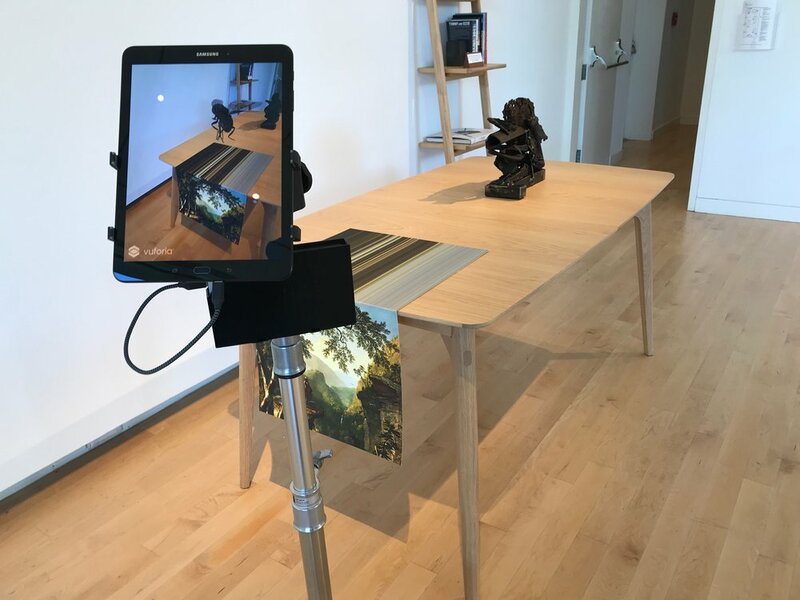 Generous funding for The Domestic Plane: New Perspectives on Tabletop Art Objects is provided by Crozier Fine Arts and the Art Dealers Association of America Foundation. Media support is provided by Connecticut Cottages & Gardens (CTC&G). Generous funding for the accompanying exhibition publication, The Domestic Plane: New Perspectives on Tabletop Art Objects, is provided by the Elizabeth Firestone Graham Foundation and Philip and Shelley Fox Aarons. On Edge is supported by Design Within Reach.